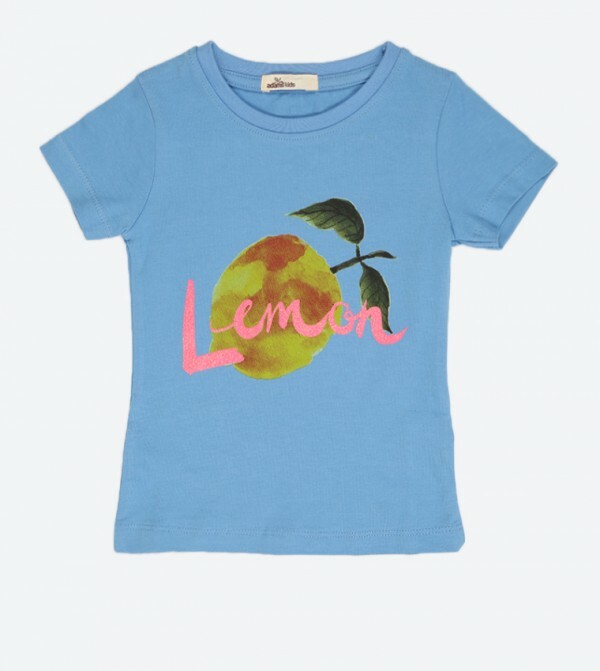 Your little angel will become the cynosure of all eyes by wearing this blue colored T-shirt from Adams Kids. Made from cotton, this attractive T-shirt ensures breathability. Featuring regular fit, this printed T-shirt will go well with a skirt and belly shoes.